What makes a Reinke system so special? Built from high strength materials, a Reinke system weighs less resulting in less stress on the drive train. This reduces the cost of ownership over the life of the system. Our design and materials add up to a system that is lighter weight, more efficient and longer-lasting than comparable systems. Irrigation in agriculture plays a significant role in the production of U.S. and World agriculture goods. Without the use of irrigation, crop production would be limited making it a challenge to meet the needs of a growing population. Over the years many different irrigation techniques and methods have been developed to accommodate changing environments. 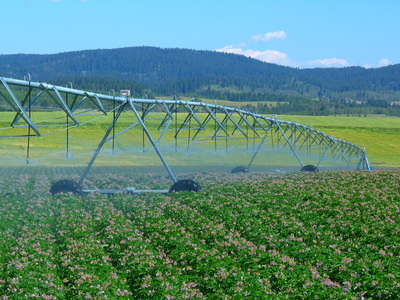 Age-old surface irrigation still continues to be popular based on its simplicity and cost effective value, but as technologies are changing mechanized irrigation systems are becoming more and more appealing to producers. Center pivot irrigation has become the most efficient and effective form of irrigation by using precision technology for many different applications throughout a field. The future of irrigated agriculture will depend on the acceptance of changing technologies to increase precision management practices and enhance crop production. The value of efficiency and effectiveness is essential to maintain a sustainable agriculture environment. 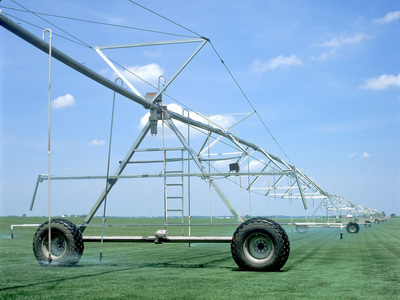 Center pivot irrigation gives you the flexibility other irrigation methods are unable to provide. Center pivot irrigation introduces efficiency along with water management all while having a strong economic value. Reinke offers a selection of 5 different types of water pipes, along with several different span lengths and diameters for every custom water application condition. With years of experience working with alternative materials, we will provide you with knowledge and expertise to ensure the best pipe material is selected to meet your irrigation needs. ​Our unique single-leg tower is the best in the industry. Engineered to absorb stress that would normally be transferred to the pipeline, our tower design maximizes system life and reduces component fatigue – which means less wear and tear on the system, and less maintenance and ownership costs for you. 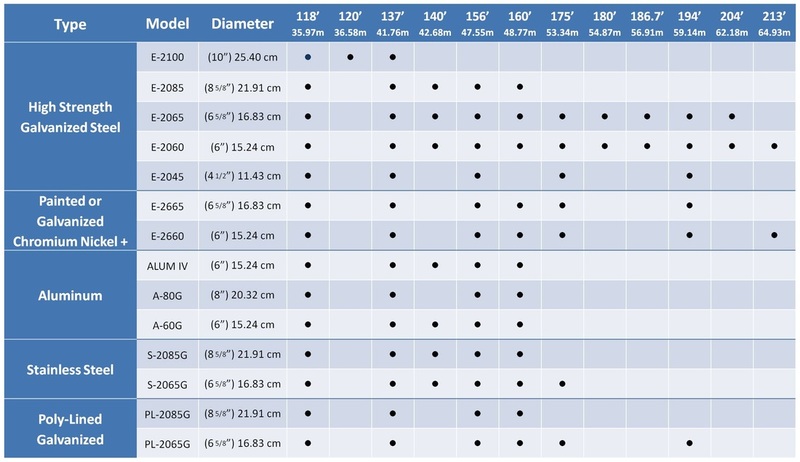 ​End Booms are available in several lengths (3', 13', 23', 32', 42', 51', 61', 85' and 105'). Truss rods and inverted truss supports provide the primary support for strength and stability. The 6" sand trap and control box, for the optional booster pump, are located near the tower for ease of servicing. The booster pump itself is located at the end gun for maximum efficiency. 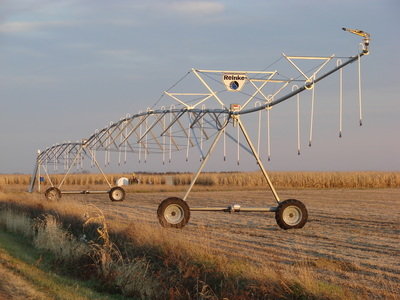 Reinke is synonymous with center pivots. In 2012, irrigated farm acres accounted for roughly half of the total value of crop sales using only 17% of U.S. cropland.